(2) Gulch Cats Tournament (in Trail) starts tomorrow. If you need a copy of the schedule let me know. We currently have about 12/13 players some people are only able to play Friday night etc. If you are interested please contact Barb or Laurine. Tourney Meeting Tuesday Jan 28th at 6:30pm at the Red Room Lounge Prestige if you can make it!!! Try and make a list of items that need to be discussed so we stay on track... we will try and keep it short-ish!! Hope to see you there!!! and If you are available any days this weekend to play hockey please let us know cause there maybe some spots to fill... thanks! Parade participants, good turnout ladies! Bring a black or white Jersey.... and street stick... and if anyone has orange street hockey balls??? we run behind the truck and play shinny!! who's in let us know..... and if at the last minute you are in just show up!! Hi Ladies... wondering if anyone is lined up to play goal today with the Cougars... and if not is anyone interested? Janice, Ida, Sue Fantin?? Anyone else willing to wear the smokettes gear and give it a try? ALSO Wondering who is planning to go to hockey next Saturday night? It is winter Carnival weekend and I am wondering about our numbers and if we should cancel, may need to pay anyways cause of short notice.... it may be hard to recruit numbers for that night...please let me know if you are or aren't planning on attending. thanks. FRIDAY NIGHT PARADE....Last year we went into the winter carnival parade and it was super fun... we just played street hockey in our jerseys, behind our support truck...I think we should do that again if people are keen... let me know!! So we will have a lot of people playing hockey, having fun and donating to our charities.... Going to be awesome!!! We are going to have a team photo taken at practice on Thursday Jan 16 – regular ice time in Trail at 7pm. If you have smokette jerseys please make sure you bring both. Also, we don’t want to run too far into our ice time so try and make it a tad early so we can get the photo done and play! 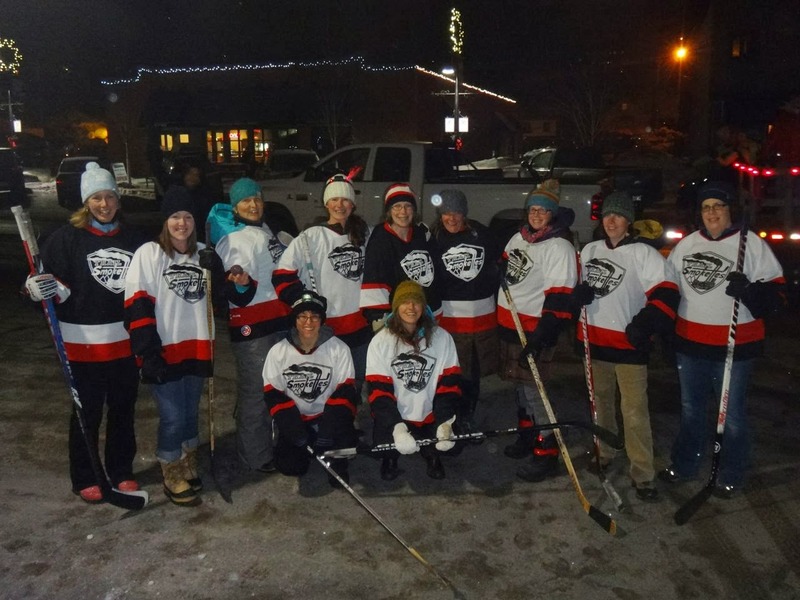 (1) Ice this Saturday (jan 11) 7:30pm in Rossland. I will be sending out another email that will include all of the information discussed at the most recent tournament meeting. We are in need of some more people to play the trail tournament. If you are interested, please let me know and I can give you more details. This year, along with donating to our usual charities, we will be dedicating funds to Carol (ENZO) Enns, a former Smokette, and dear friend to many. Carol was critically injured when the car she was a passenger in was struck by a drunk driver in the states this summer, leaving her bones shattered and her eye sight gone. She has fought back so hard and is hoping to move back home soon, so there is much work to be done! What: 3 refereed games, game drinks, fully licensed lounge open till midnight friday and Saturday nights, DINNER included and Party on the Saturday night at the lounge!! Dancing All night!! Don’t delay in getting your deposit in, you won't have a spot guaranteed until your deposit is received. Come and join us for A GREAT TIME!!! Tournament Meeting at 5pm Tonight! This is a little late getting onto the web page but if you can make it there is a tournament meeting tonight at Barb's. Please come and help organize! Any and all skills welcome. (1) Ice tomorrow (Saturday Jan 4, 2014) at 11:30am on the big ice in Trail – Bring a buddy!!! (2) A few people have mentioned to me that they are no longer able to attend the Trail/ Cougars Hockey tournament at the end of this month – if you are interested and have not already paid a deposit please let me know – I believe there are two spots that have opened up. (3) Someone borrowed a Black Smokette’s Jersey from Nicole Langille (#57) – please check your bags for it – thnx!